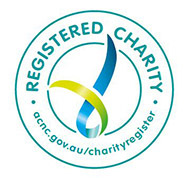 Self Help Workplace is an Australian Disability Enterprise in Youngtown. 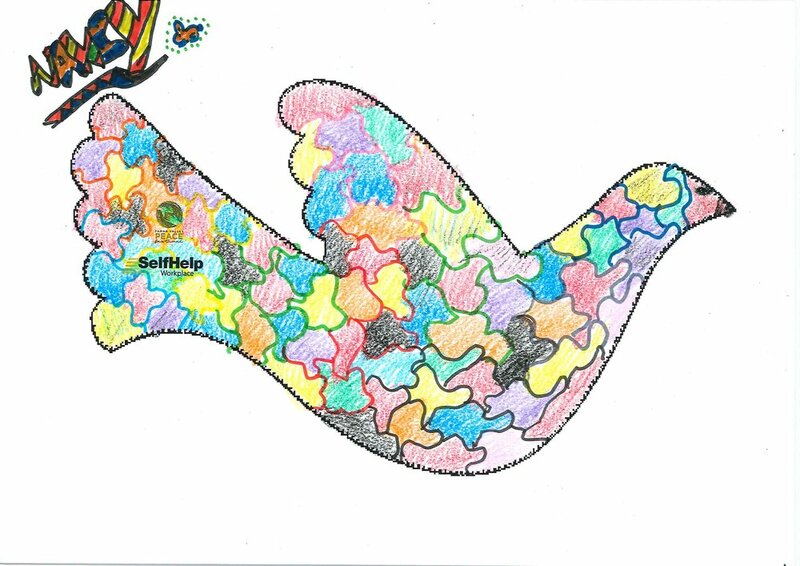 These doves were designed by some of its 51 supported employees who are adults with disability. 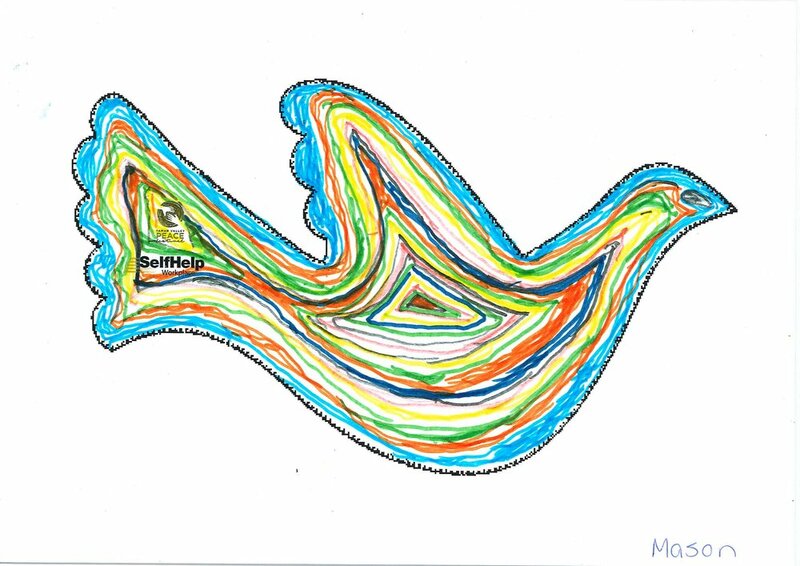 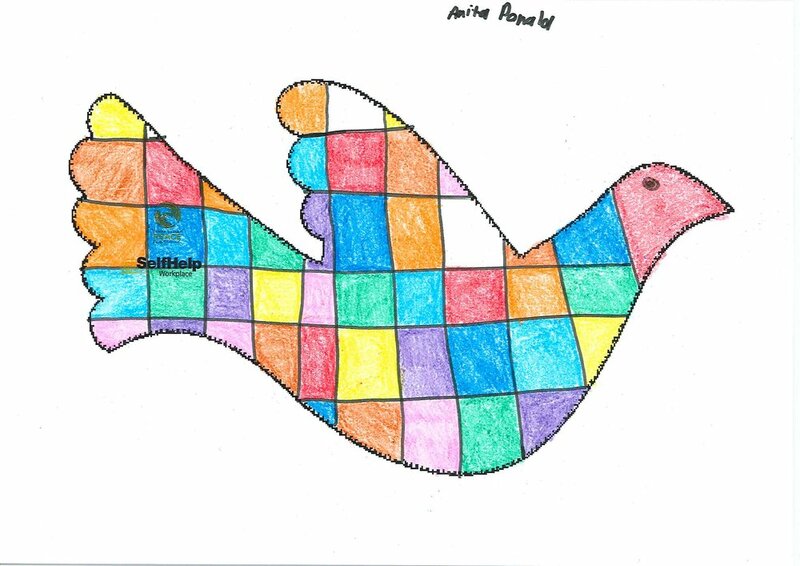 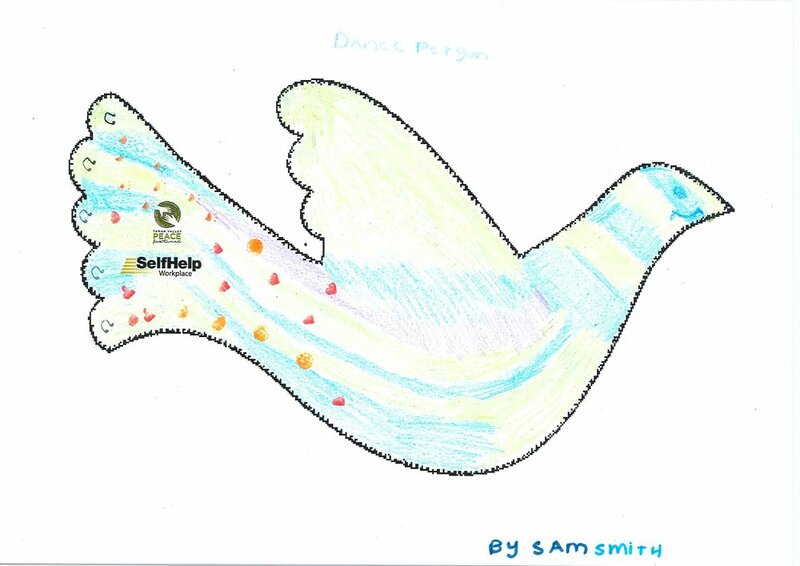 This year, in partnership with Launceston Library, the Tamar Valley Peace Trust invited School students, Organisations and Community Groups to make a promise to Peace; to write a message or draw an image of what peace means to them.